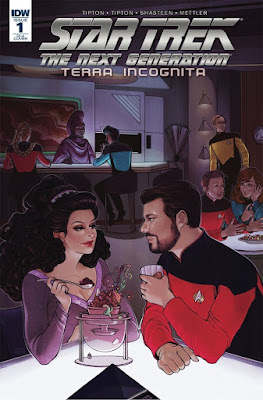 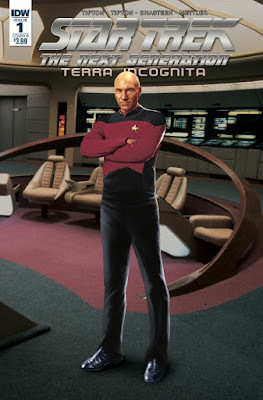 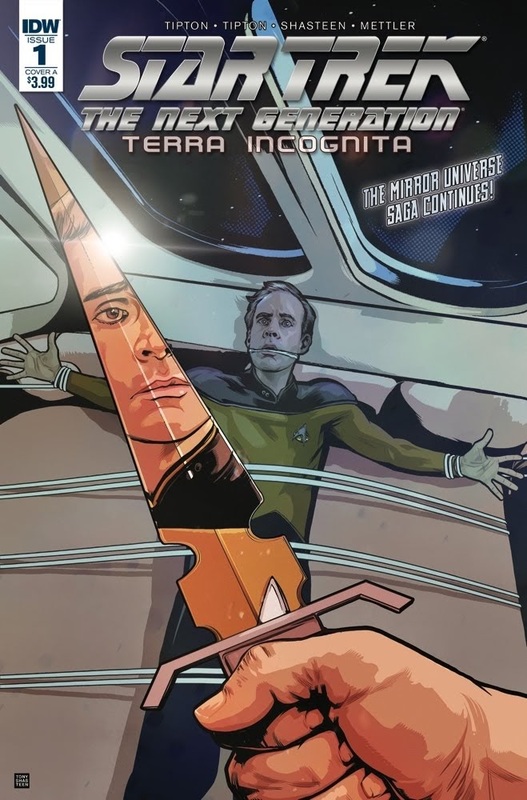 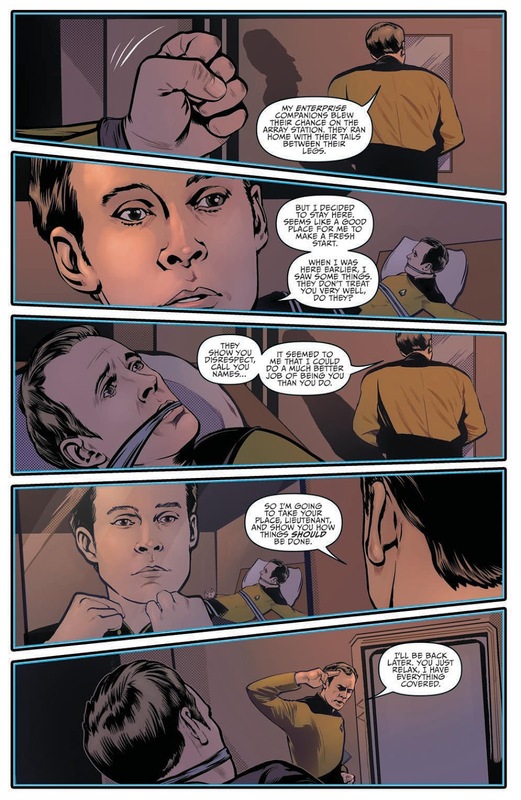 Out this week is the first issue in IDW's latest TNG mirror universe comic series, Terra Incognita, which follows the deviations of mirror-Barclay following the events of the recent series Through the Mirror. 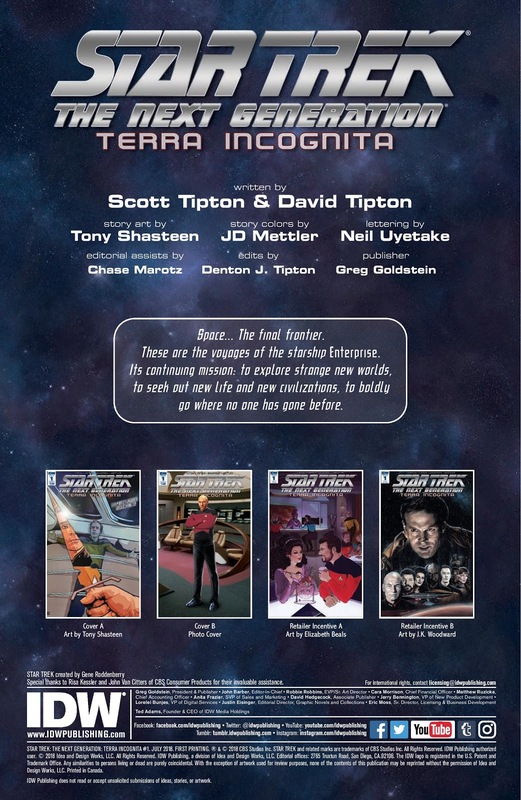 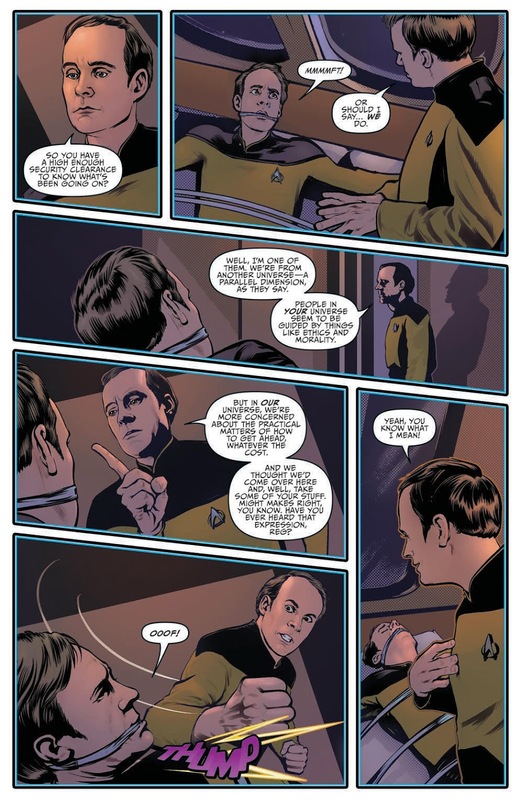 Scott and David Tipton continue in writing what is becoming a near ongoing mirror universe series, with Tony Shasteen picking up the art duties this time. The book is available in four different covers, with Shasteen also delivering the A cover, while the B cover is a photo-montage. 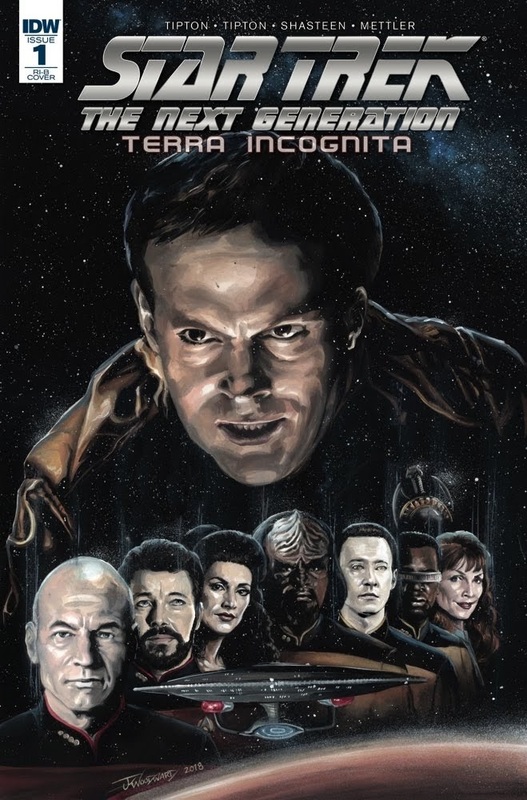 There are also two retail incentive covers; a colourful and moodily lit Ten Forward scene by Elizabeth Beals or a menacing giant Barclay looming over the TNG crew by J.K. Woodward. Continue below to check out all the covers and a five page preview. 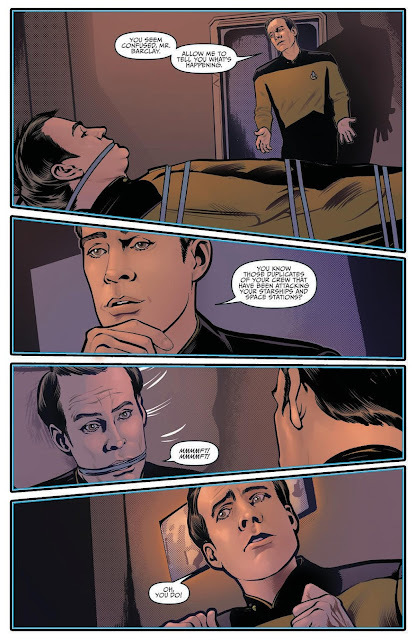 You can continue reading this story by picking up a copy at your local comic book shop, or from online retailers like these: Amazon, Things From Another World, Forbidden Planet, Barnes and Noble, iTunes. And indeed first you might want to catch up with the series so far, which started with Mirror Broken, introducing the mirror-TNG universe, and then continued with the recent Through the Mirror, which brought the mirror and prime TNG crews together. 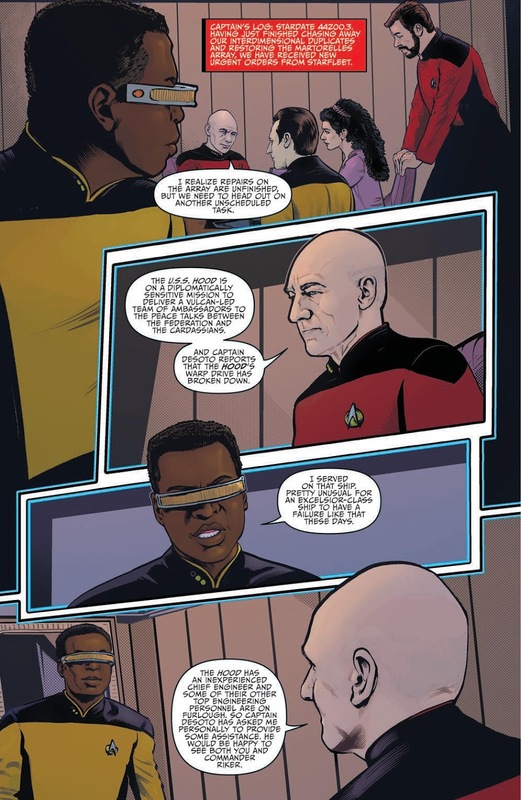 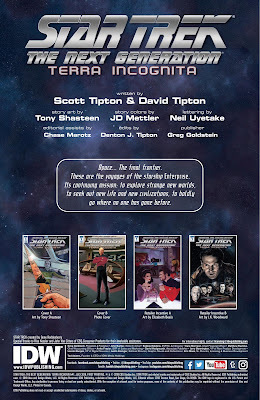 You can find reading lists for several Star Trek comic series on my Trek Collective Lists site. 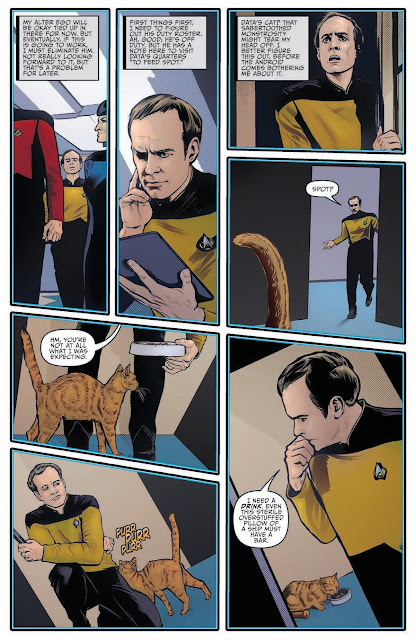 To keep track of all the latest Star Trek comic releases, hit the comics button on my 2018 schedule page.